This bold new stain offers true brown color without diminishing the beautiful dimension of natural woodgrain. 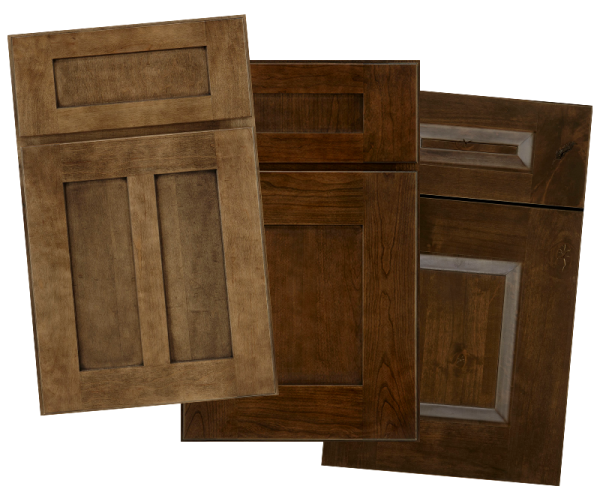 Available on maple, cherry, knotty alder, hickory, oak, and quartersawn oak; sable highlight, sable glaze and highlight, antique or legacy distressing. EAGLE ROCK ON ADDITIONAL SPECIES - knotty alder, oak, and quartersawn oak as a stand-alone stain or with Sable Glaze and Highlight or Sable Highlight only. 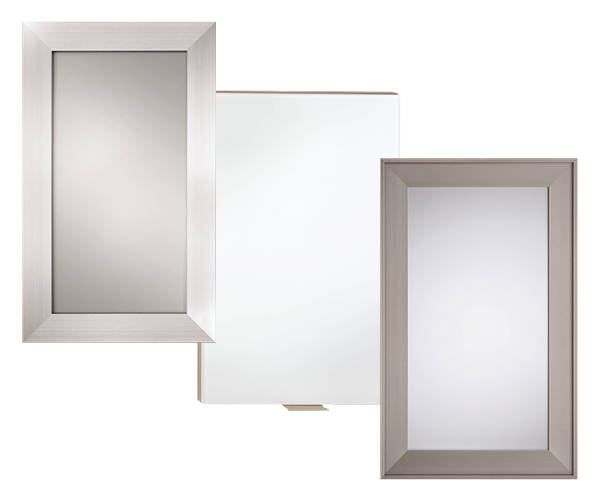 The Appaloosa Collection is expanding to include Silver, Dove, and Buckskin. These finishes have the same one-of-a-kind character as the markings of the American Appaloosa horses that inspired them. 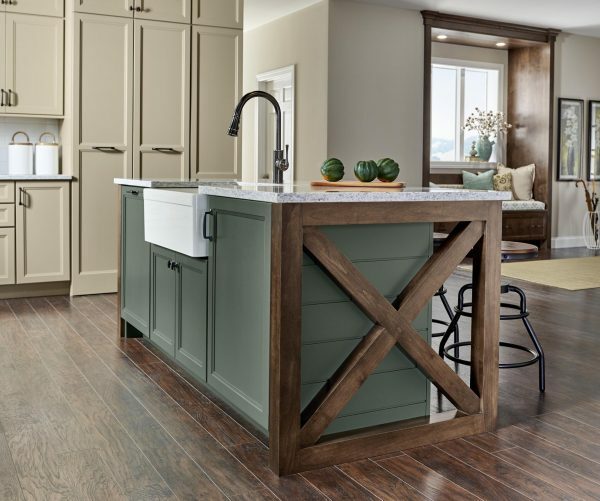 Bring trend-forward Farmhouse flair to your design! 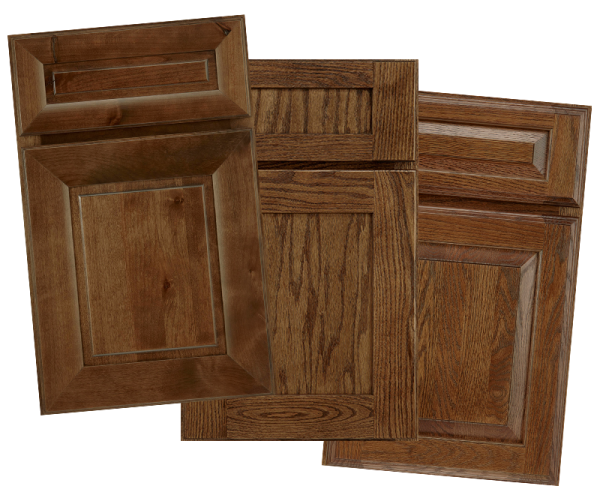 Add an X-panel end to the center island in a matching paint or contrasting stained finish. Introducing Carlton, Brave, and Catania! 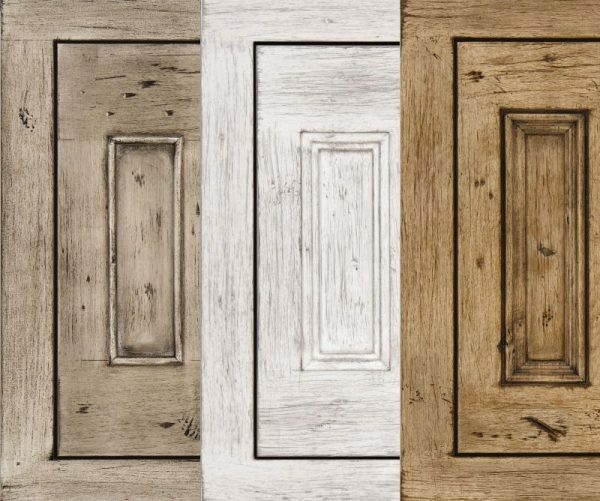 Three contemporary doors modificatons that embellish your design with cutting-edge metallic flair. 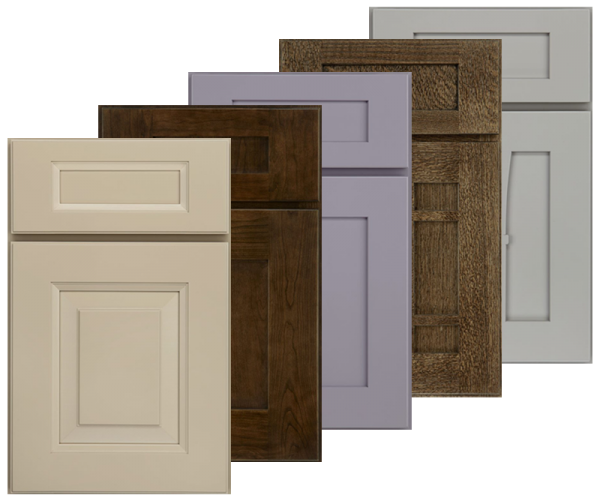 5-piece drawer fronts are now standard on several Iconic door styles — Casper, Evan, Grayson, Holton, Jefferson, Millgate, Montego, Rockwell, and Abilene. Slab drawers available with modification.